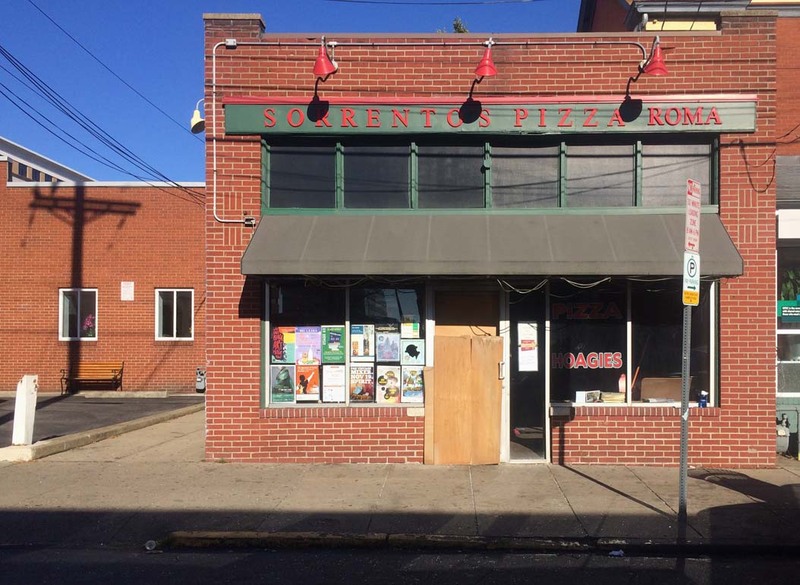 Police were easily able to track down a man who shattered the front door window of Sorrento’s Pizza Roma early Sunday morning using the drink order from the bar he was just kicked out of. The man, who police have not named, was asked to leave the Garage Door Saloon at about 2 a.m. Sunday morning because he was too intoxicated. Minutes later, Aaron Price, the owner of Sorrento’s, said the man either kicked or punched the window as he was walking by after being thrown out of the next-door bar. The bouncers at the Garage Door were able to see the incident occur from their posts outside the bar and police used his still-open tab to identify the man. The door to Sorrento’s Pizza was boarded up Sunday, but Price said he expects to have it replaced by Monday night. Emily Schaffer, spokesperson for city police, said Pitt police handled the incident. Pitt police were not available to comment in time for publication Monday. Price said no one was injured but that he and another employee had some minor cuts from cleaning up the glass. Pitt senior Dayton Walker, who was working at Sorrento’s at the time, said that glass flew from the door all the way to the front counter of the restaurant. He said he was in the back making pizza and heard a loud smash and a lot of screaming from the restaurant. Walker said he saw the man, who he described as having an afro, run down Atwood Street. Walker ran after him but said he was already out of sight by the time they reached the intersection of Bates and Atwood streets. The pizza restaurant, which is normally closed Sundays, did not close early after the incident and will reopen Monday. Price said he does not know how much the damage will cost but that it will be more expensive than replacing most windows because it has to be custom cut to fit the door. Price reported the incident to Pitt and city police, and was told that the departments were talking with the individual and would let Price know more about the situation by the middle of this week. Price has owned the store since 2006 but said the business has been in his family since 1971. In the past 10 years, he said he has had four or five windows broken, partly due to big sporting events like the Super Bowl and the Stanley Cup. Price said that after Pitt won the football game against Clemson Saturday night, he received several text messages reminding him to guard his windows that night.